Palm sized piece of MIDI plumbing with clock source, ideal for jam sessions! 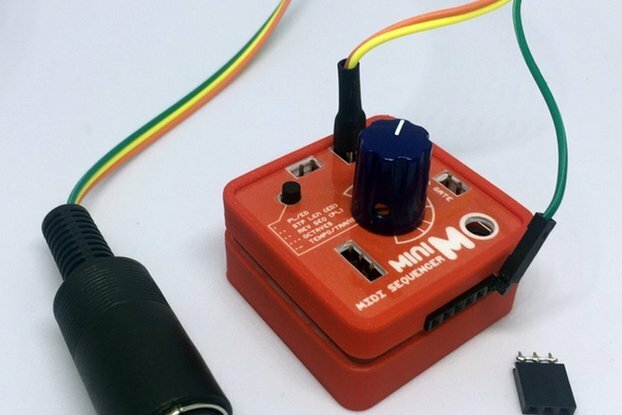 midihub is a 1 input, 6 output MIDI thru device with an on-board MIDI beat clock generator. It was originally developed for MIDI jam sessions but is a useful addition to any MIDI kit box. It ships as a fully assembled and tested unit with firmware pre-loaded - no assembly is required. Opto-isolated input and buffered outputs. Powered via mini USB connector (from a computer or via USB adaptor/charger). Solder pads for optional external regulated 5VDC supply. 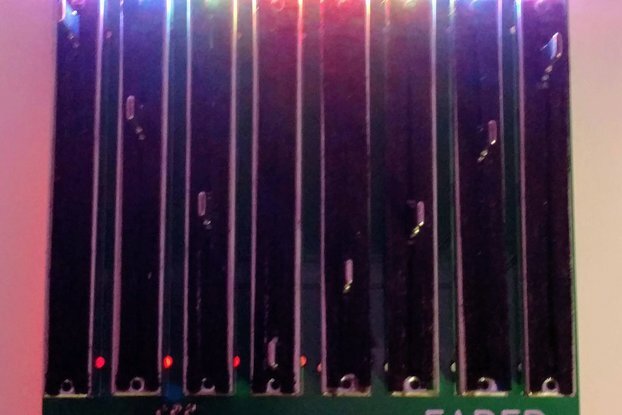 Laser-cut acrylic base plate protects the components and connections on the underside of the board. Please note that the video clip shows an early version of the hardware. See photos for latest design. Great product - helped me get everything in sync. Has more complex features that I have yet to use. Would definitely buy it again. Very handy, I use it for stripping all except clock data in my setup and it works great, midi is handled without any noticeable delay. Great product and service. Highly recommended. 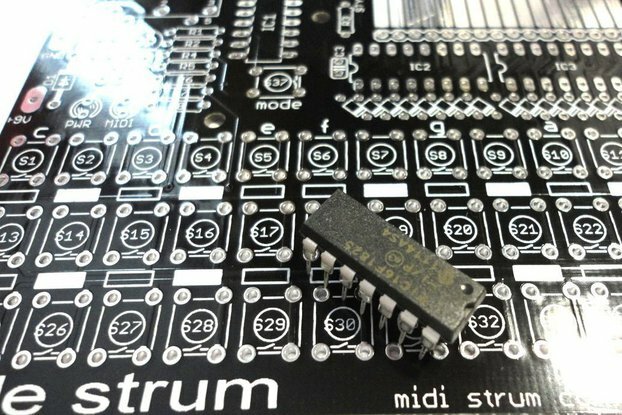 MIDIHUB: '6-way MIDI Thru and metronome module' is a 1-input, 6-output, MIDI splitter with its own MIDI clock generator (~30-300 bpm). It's obvious use is as the master clock and hub for MIDI jams but it could also be used as a simple splitter for those with big set-ups and a need to cut down on latency. 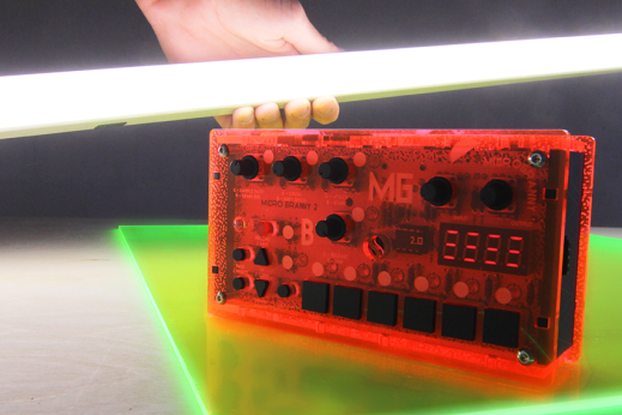 Three buttons; Play, Minus and Plus, with 6 leds allow MIDI clock start/stop and tempo control as well as some MIDI filtering and playback options for the leds. USB powered so it can be run off a rechargeable battery. Very good build quality for the price - under £50 delivered. It's just perfect. Great shipping, fast. GREAT PRODUCT. All my machines sync with Ableton Live and I can send midi notes to all of them. Happy with the adquisition. Great little gadget. Super fast shipping. Used this to split my midi signal from my electribe 2 sampler, to my microbrute, tb3, mrt-3b and whatever else i come across. It seems to work perfectly. A great device. I use this to be able to sync equipment without having to use a DAW and computer. I desperately needed an external MIDI master clock to my MFB 522 drum machine, as it only accepts incoming MIDI signal (It can not send signals to other devices). 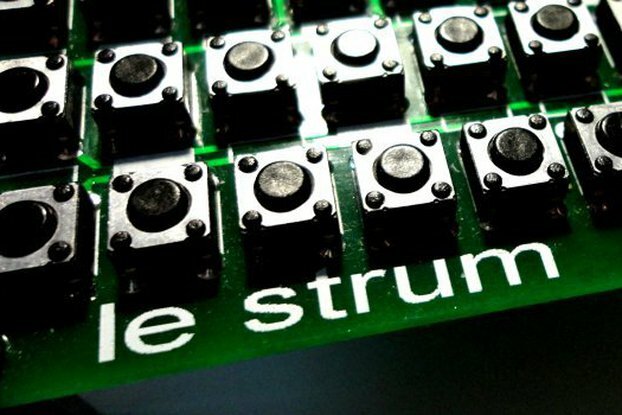 Finding a simple, affordable solution proved easier said than done, as standalone MIDI Clock devices/pedals are very expensive and often only have one output. The expensive cost and less than ideal clutter made me frustrated, giving up the idea until I found the midihub! The midihub works perfectly and is very reasonably priced. I can finally hook up all my gear and get reliable sync. It is easy to use, is quite small and seems well built. so I have to say the midihub is fantastic value and I could not be happier with it! Simple, Easy to use, amazing little device. Problem Solved! First off I rarely write reviews, actually it's more like never. I've built a portable synth rig using many individual small synths from various builders, these are running into and out of each other and to sequencers ,looper and Kp3. The time clock has always been the issue, as well as the midi order. I suffered with drift and missteps it was driving me mad! I had however ordered two products from Jason and loved the simplicity and straightforward operation, I saw the midi hub read the reviews and knew this was my answer, take my money please. I had a show coming up and couldn't rely on my computer to be my master due to limited space and hassle, I waited for the restock to order and the day it became available I pounced, the show was 7 days away and I knew it was a long shot. However on the seventh day, the day of the show it arrived in the mail. I was worried it was going to be more complicated but it was as simple as plugging in and turning it on, rock solid time clock, everything jived! Show went great, Midihub is amazing! Buy one today you won't be sorry! Does exactly what you need it to. Highly recommended. Solidly built, compact, easy to use. What more could you want? Buy one now!!! Me and my partner in music have been experimenting with our live setup for the past few months, and while working with hardware only, there are almost no problems with syncing the devices through a long daisy chain, our real culprit came when we wanted to use Ableton Live in combination with the hardware. Ableton's clock out is so extremely unreliable, that it is almost near impossible to sync your external gear to it on a steady basis. I then started to look for external midi clock modules, only to find that most of the products were quite limited and very expensive none the less. Then, one day, I stumbled across the Midihub. Boy, am I glad I did. After some thinking, and reading reviews, I decided that for this money, it would be very hard to be dissapointed by the product, and all the reviews seemed positive, so I took the shot. Three days later, it arrived (I live in Holland, so I was pleasantly surprised by this fast shipping. After some thinking, we decided to make the Midihub the heart of our setup, disabling Ableton's internal clock, and setting it up so it received the same clock signal as all our hardware. This meant that we only had to adjust the clock in latency to - a couple of milliseconds, to make up for the buffer size latency. After we finished this step, all worked perfectly. No more jitter, no more weird start points, no more endlessly adjusting the midi clock out latency. Everyone that ever tried to jam live, but stumbled against the unfortunate sync problems: buy this device. It will be worth the (little) amount of money that you'll pay for it, and you support an inventive, independent guy who makes some awesome stuff. I needed a thru box and this also happened to have a midi clock generator built in which was an added bonus . The clock side of things is proving to be extremely reliable and stable , without actually measuring jitter I can't comment on figures but in a live situation (which is the intended use) it's fantastic especially the ability to re - sync added devices . This allows you to create new sequences on a device in a monitor mix then integrate it into the main mix without stopping the clock . It's been a godsend . Build quality is superb and the acrylic base offers enough protection to the components underneath although if you were to take it on tour I imagine you'd want to incorporate it into some sort of case but otherwise it's good to go . The instructions are also comprehensive and the several modes of operation described offer a lot of flexibility . The lack of a bpm display has not proved to be a negative aspect as I have a midi device with a clock readout . I want another one as I've run out of midi ports but I see no reason why they can't be daisy chained and I'd much prefer to support clever blokes making cool stuff like this in their sheds than pay inflated prices to boutique manufacturers . Amazing little device. Pulled together all my devices and really completed my studio setup. Thanks! Fantastic bit of kit and seller really helpful. I got this a few weeks ago and have been using it constantly since. I also have a Kenton midi thru 5 so it's easy to compare. I like the fact this thing runs off 5v USB power, making it ultra portable with my Korg volcas and Electribe which all run on batteries. These together with a pocket 8000 mah battery = ultra portable midi music. The metranome is another cool feature again for things like the Korg volcas. It also has SIX midi outs... Surly enough for anyone on the go. Really happy with this and I have already recommended this item on several synth forums. I like the 6-way MIDI Thru and Metronome Module very much. Beside the fact it´s very well build and quite simple to use and understand you get a lot of features for a very reasonable price. I don´t think there is something comparative on the market at the moment. I only stumbled across this when I read about someone raving about it on synthtopia, saying that it was the best midi controller. He is not wrong. This is just great at what it does. I use it to trigger two ipad sequencers and my old midi hardware. I even use it with my Mac DAW. everything just works perfectly. Having so much fun using this. This well-built (and beautiful!) little thingy has made synchronizing synthesizer jam sessions a breeze. Highly recommended! Does its job flawlessly, very useful thing to have around at a very fair price. Recommended! My friends and I use a couple of those for our equipment. Without it a good sync is nearly impossible! Love it. Does what it sets out to do, and does it marvellously. Cheers! The device have arrived in time, and works perfectly. It is highly recommended for all people who use more than one midi instruments which need to be in sync - yes, the devices theoretically have the possibility to sync midi clock, but in practice this is barely possible (at least in our case). Then I found midihub++ on the Net, and ordered it in that second, and now: everything is synced! All effects, patterns, synths are played in tempo, and you cannot believe the euphoria we got last evening when we heard the whole setup working. Now we can focus on music, and this is incredible. Works great, very useful, just what i needed for my MIDI system, and for a great price. thanks!